So why does an ordinary All-Canadian boy from Kemptville, Ontario, whose teenage dream was to play in the NHL, suddenly resurface as a foot soldier for the first ever self-styled “caliphate” in the modern history of the Middle East? This is exactly how John Maguire morphed into ISIS jihadi warrior – Abu Anwar Al Canadi. Maguire’s story is not unique. ISIS has emerged as the bloodiest, most merciless terrorist organization on the planet in the twenty first century but it has shown enormous magnetic appeal to thousands of young men and women around the world. The Soufan group, a New York based strategic intelligence services firm, estimates between 27,000 and 31,000 people have made the perilous journey to the killing fields of the Levant to fight under the black flag of ISIS. 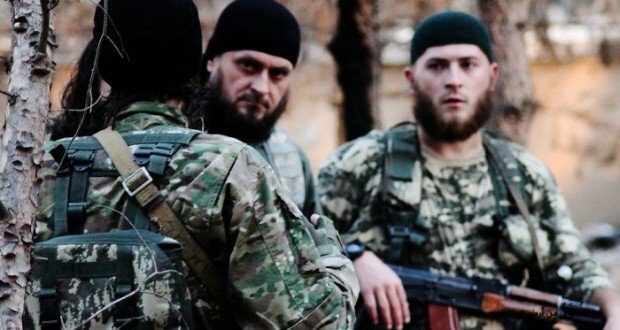 Like the Afghan “jihad” against the Soviet Union a generation ago, the Syrian civil war has become an international cause célèbre, a magnet for foreign fighters from all over the world. There is some historical precedent for well born Westerners being attracted to exotic spiritual philosophies like Islam. In fact, Victorian era noblemen and women traveled to the Middle East to experience the “oriental exoticism” of Islamic society. Hundreds of Westerners converted in the interwar decades of 1915-1938. Today, ISIS boasts 600 British Jihadist fighters in its ranks in Syria. Four British born jihadists were even nicknamed as “The Beatles”, by their captives. One of them, Jihadi John, acquired global notoriety after he publicly beheaded journalists James Foley and Kenji Goto (among several others). Unlike his real world musical namesake, “John” did anything but give peace a chance. “We tend to think they are crazy”, said John Horgan, a Professor at the University of Massachusetts’s Lowell’s Center for Terrorism and Security Studies. “Because of what terrorists do, we assume that can be explained via the pathology of those people, but trying to explain terrorism as a mental illness is misleading”. Unlike Al-Qaeda, whose recruits were Muslim zealots from a network of mosques and madrasas (Islamic schools), ISIS has taken advantage of social media to indoctrinate its foot soldiers and sympathetic travelers from all over the world. ISIS twitter accounts celebrate massacres in Paris and YouTube propaganda videos portray Syria as an Islamic Salafist heaven – reports emerged of hundreds of women voluntarily leaving their homes in England, Australia and Malaysia to offer themselves as sexual comfort women for the “soldiers of Allah”. Unlike Al-Qaeda, ISIS created a state in the heart of the Arab world, a Caliphate which demanded the allegiance of Sunni Islam worldwide. Anthropologist and academic Scott Atran of Oxford University described that ISIS has the same “revolutionary pull” that occurred in the Bolshevik Revolution in Russia, and the later mass youth hysteria exploited by Mao and Hitler. ISIS preys on people who feel inadequate, marginalized, and discriminated against: victims of perceived or real injustice. A feeling of inadequacy, exclusion, and victimhood is a recurrent theme in the narrative of Western Jihadist ideology. ISIS took advantage of these primordial resentments and social pathologies and gave them a cause greater than themselves, a sense of power to lives defined by powerlessness in the East and the West. After the 2016 Orlando Pulse night club shooting, the FBI uncovered internet searches of ISIS beheading videos and propaganda on Omar Mateen’s computer. Mateen was a frequent visitor to Pulse and was suspected by close friends to be bisexual. Mateen’s naiveté is evident, as he has expressed support for Al-Nusra, Hezbollah and Al-Qaeda (all devout enemies of ISIS with conflicting ideologies), before finally declaring his allegiance to ISIS during the shooting. Omar Mateen, a two time divorcee who was conflicted about his sexual identity and was a violent racist, sampled a smorgasbord of terrorist/Jihadi ideologies in his twisted quest for relevance and self-worth. Socioeconomic factors also contribute to radicalization. Ethnic ghettos such as Molenbeek in Belgium and the banlieus of Paris, where social unrest, mass unemployment, and abysmal education levels serve to create fertile breeding grounds for ISIS recruiters. As of October 2015, there were a total of 516 Belgians fighting in Syria or Iraq. Neighborhoods such as Molenbeek and Schaerbeek in Brussels have been incubators for ISIS terror cells. The assailants of the Brussels bombings and November 2015 Paris attacks had links to or had grown up in Molenbeek. In 1998, French-Algerian football legend Zinadine Zidane led France to the World Cup win at home with a squad whose core players were primarily of French African colonial descent (known as the black, blanc, beur generation of French football). Three years later, in an attempt to celebrate relations between Algeria and France, the two nations played against each other for the first time since 1961. The Stade de France was flooded with Algerian flags, the French national anthem was booed and the game was abandoned after Algerian supporters, many of whom were French citizens, stormed the pitch.Even though they were born and raised in a secular France obsessed by the Fifth Republic ideology of “laïcité”, most children of North African migrants refused to abandon their Arab/Muslim tribal identities, a quest that often alienated them from mainstream French culture. The fact that Arabs are widely discriminated against in France’s education and housing sectors, as well as the job market only increased their alienation. The trauma of French colonial rule in Algeria and the savage war that ended it (1954-62) continues to haunt the grandchildren of those involved. In the 1960’s, Frantz Fanon’s “Wretched of the Earth” speculated that the humiliation inflicted by Western colonial rule on indigenous people made them prone to use of violence as an instrument of self-assertion, ideally as part of a “Third World revolution”. Political Islam in the modern world literally emerged a decade after Kamal Atatürk first emasculated, and then officially abolished the caliphate which linked the Arab provinces of the Ottoman Empire to their “supranational” ruler in Constantinople. Unfortunately, the secular military dictatorships and hereditary monarchies that replaced the Ottomans failed to give their people economic empowerment, social dignity, or even a modicum of political freedom. Nasserism made grandiloquent promises of a pan-Arab nation, victory over Zionism and a socialist economic Utopia, but it led to a crushing defeat in the Six Day War with Israel, the loss of the Sinai Peninsula, a proxy war in Yemen, and widespread economic failure. When Anwar Sadat expelled the Soviets and signed a US brokered peace treaty with Israel at Camp David in 1979, Nasserism died as a relevant political ideology for the Arab world. Baathism, which also called for pan-Arab unity, was also equally as spectacular of a failure as Nasserism was. The movement was eventually hijacked by minority regimes in Syria and Iraq to consolidate their own sectarian dictatorships. Islamist movements emerged from the political space created by such events as the assassination of Egyptian President Anwar Sadat in 1981, the US invasion of Iraq (Abu Musab Al Zarqawi may have fought “godless communism” in Afghanistan but his enemies in Iraq included the Shia), the election of Washington and Tehran approved Prime Minister Nuri Al Maliki in post-2003 Iraq (whose persecution of Sunnis and Shia death squads helped create ISIS), and the 2011 Syrian uprising against the Assad regime that led to the birth of the Al Nusra Front and other Islamist rebel groups bankrolled by Turkey, Qatar and Saudi Arabia. Even ISIS’s emergence in 2014 was only possible because George W. Bush’s presidential envoy Paul Bremer “de-Baathified” the Iraqi Army a decade earlier and Nuri Al Maliki did his best to destroy the Sunni forces who once fought for the US in the 2007 surge. The Sunnis of Iraq, stripped of political power by Maliki’s sectarian state and Sadrist death squads, were the genesis of ISIS. The war against ISIS will not be won by air strikes and drone attacks alone. The world’s Muslims must reclaim the religion in whose name ISIS slaughters human beings all over the world. The Western world needs to empower moderate Muslim voices to reclaim the war of ideas and to delegitimize the ideology of violent jihadism. Muslim regimes must stop their war for balance of power and sectarian dominance, and band together against a common foe that is a threat to regional and world stability. If terrorist groups like ISIS are allowed to exist, the clash within the Islamic civilization will eventually lead to Samuel Huntington’s prophesied clash of civilizations. The pied piper of Raqqa must be exposed as the nihilistic straw man he is, fit only to attract rodents to a bloody end. Salafism – Is an ultra-conservative reform movement within Sunni Islam that emerged advocates a return to the traditions of the “devout ancestors”. Hezbollah – A Shiite Islamist militant group based in Lebanon. Infamously bankrolled by Iran. Ultimate goal of ruling over and defense of Lebanon from Israel and Saudi influence. Al-Nusra Front – A Sunni Islamist militant group that rose up after the 2011 Arab Spring. The groups main goal is to implement an Islamic State in Syria. Al-Qaeda: A Sunni Islamist militant group based in numerous countries around the world including Iraq, Yemen, and Somalia. Infamous for the 9/11 attacks and has the ultimate goal of stopping all foreign influence in the Middle East and the establishment of a Caliphate. “Foreign Fighters: An Updated Assessment of the Flow of Foreign Fighters into Syria and Iraq.” The Soufan Group, Dec. 2015. Hughes, Chris. “ISIS ‘Beatles’ Forced Hostages to Sing Song Named ‘Welcome To Lovely Hotel Osama'” The Mirror. N.p., 17 Mar. 2015. Web. 23 July 2016. Banco, Eric. “Why Do People Join ISIS? The Psychology Of A Terrorist.” International Business Times. N.p., 05 Sept. 2014. Web. DeJesus, Kevin M. ISIS: The Rise of the Islamic State. Santa Barbara: Praeger, 2016. Print. Banco, Eric. “Why Do People Join ISIS? The Psychology of A Terrorist.” International Business Times. N.p., 05 Sept. 2014. Web. 23 July 2016. Visser, Nadette De. “How Belgium Became a Terrorism Hotbed.” The Daily Beast. Newsweek/Daily Beast, 15 Nov. 2015. Web. 23 July 2016. Fanon, Frantz, Jean-Paul Sartre, and Constance Farrington. The Wretched of the Earth. New York: Grove, 1965. Print.